Pope Francis released an encyclical on the environment in June, and your first thought was probably, “Should I care?” Your second may have been, to quote 1920s presidential candidate Al Smith, “What the hell is an encyclical?” Quick answers: 1) yes, no matter who you are, and 2) read on. Let’s start with the basics, because it’s difficult to care about an encyclical if one thinks it’s an encyclopedia about bicycles. Typically, an encyclical is a letter from the pope to the bishops clarifying or elaborating on some aspect of Catholic Church teaching. Encyclicals of the last 100 years have focused on a range of topics, from saints to human dignity to motion pictures (apparently a scourge in 1936), and they are sometimes addressed to all Catholics, not just bishops. Written by the pope himself, encyclicals are not technically Church dogma, but they are compelling documents from a leader considered infallible. Even if you’re not a bishop, or Catholic, or affiliated with any religion whatsoever, you should care about the latest encyclical if for no other reason than it’s addressed to you, provided you inhabit planet Earth. Pope Francis opens his encyclical with the “wish to address every person living on this planet” to “enter into dialogue with all people about our common home.” If that doesn’t do it for you, consider that everyone is paying attention to Pope Francis. His actions and statements since becoming pope have captivated the global media, and when someone with that much power decides to take on environmental issues, it’s worth finding out what he’s saying. And in his trademark style, Pope Francis is saying something very radical indeed. The encyclical is a healthy 184 pages long, although it uses an inexplicably large font size better suited for picture books. After reading and digesting the letter, I’m going to give you the highlights with a dose of personal opinion. The encyclical is obviously religious in nature, but given its sociopolitical context, I believe that environmental scientists would benefit from familiarity with it. Possibly to address individuals who might dismiss the encyclical for its religious origins, Pope Francis notes that “[t]he ethical principles capable of being apprehended by reason can always … find expression in a variety of languages, including religious language.” I realize that religion is a sensitive subject, and I’m not trying to promulgate Catholicism in this article, as should be apparent. I’ll be focusing on the aspects of the encyclical that are relevant to those concerned with environmental issues, regardless of their religious beliefs. 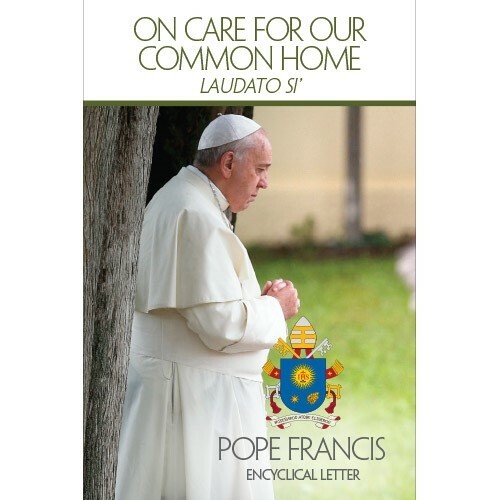 The full name of the encyclical on the environment is Laudato Si’ of the Holy Father Francis on Care for Our Common Home. Laudato Si’ means “Praise Be,” and is a phrase taken from Saint Francis of Assisi’s Canticle of the Creatures. The attribution is not accidental: Saint Francis pops up throughout the encyclical, mainly as an example of care for and unity with nature. Perhaps we should have anticipated this encyclical as soon as Pope Francis selected his namesake. The first surprise of Laudato Si’– and there are a lot- is apparent in the first chapter: climate change is treated as a given. 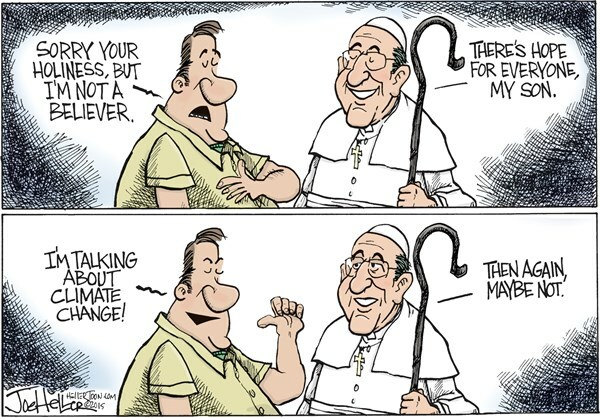 Pope Francis states that “[a] very solid scientific consensus indicates that we are presently witnessing a disturbing warming of the climatic system,” and most of that warming is attributed to “the great concentration of greenhouse gases … released mainly as a result of human activity.” He later shames climate change deniers, saying that “we are tempted to think that what is happening is not entirely clear. … This is the way human beings contrive to feed their self-destructive vices.” That brackets what’s essentially an extremely readable scientific review of environmental degradation and potential impacts of global warming. 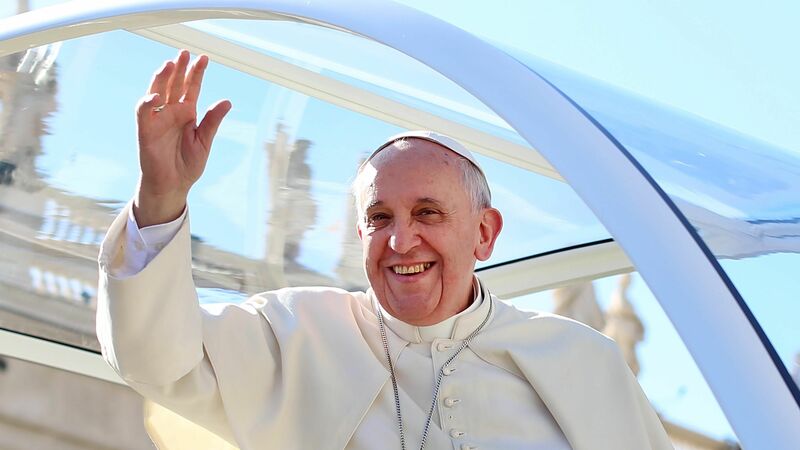 It even includes a line that will make scientists smile: “Greater investment needs to be made in research aimed at understanding more fully the functioning of ecosystems and adequately analyzing the different variables associated with any significant modification of the environment.” Can one quote Pope Francis in an NSF application? In any event, it’s pretty striking that the pope isn’t using the encyclical to entreat readers to trust climate science. Perhaps this is because science isn’t the backbone of Laudato Si’: people are. The encyclical is ruthless in calling out the attitudes that have made today’s environmental destruction possible. Many of these lines focus on the human condition and sound like they could come from secular sources, like green living magazines or self-help books. Take this quote, for example: “[E]verything is interconnected, and … genuine care for our own lives and our relationships with nature is inseparable from fraternity, justice and faithfulness to others.” Pope Francis discusses our lack of deep interpersonal relationships, citing the internet for encouraging a culture that “has more to do with devices and displays than with other people and nature,” and calls out those who are living well at the expense of others. Although he doesn’t spell it out, that includes the average American, because the vast majority of people in this country (myself included) lead lifestyles that are, by definition, unsustainable. If everyone in the world lived as we do, we “would destroy the planet. In practice, we continue to tolerate that some consider themselves more human than others, as if they had been born with greater rights.” Laudato Si’ is cutting through the hypocrisy that’s too easy to ignore when living in a developed country, shining a harsh light on the fact that we live so well, because other people cannot. As you might expect, that’s not a conclusion that the pope can live with, and that’s where Laudato Si’ becomes, in my opinion at least, shockingly radical. Pope Francis is not calling for unilateral action, although he acknowledges that individual actions can “call forth a goodness which, albeit unseen, inevitably tends to spread.” He is instead advocating a complete overhaul of our global economic and political system that recognizes the inherent dignity and value of every living thing on the planet. “Given the scale of change, it is no longer possible to find a specific, discrete answer for each part of the problem. … We are faced with not two separate crises, one environmental and the other social, but rather with one complex crisis which is both social and environmental.” That social crisis is the desperate condition of the world’s poor, for whom Pope Francis expresses a deep affection, and Laudato Si’ skewers “the idea of infinite or unlimited growth … based on the lie that there is an infinite supply of the earth’s goods” that has kept so many in poverty. The encyclical emphasizes the “urgent need for us to move forward in a bold cultural revolution,” because “we cannot presume to heal our relationship with nature and the environment without healing all fundamental human relationships.” If anyone was hoping that Laudato Si’ would push for some wind farms or more organic farming, surprise! When the proffered solution is unrestricted care for our fellow man, reducing CO2 concentrations suddenly sounds like an easy way out. From my reading, Laudato Si’ identifies human self-centeredness and the current economic, technological, and political structures as the chief drivers of environmental destruction, because they create an atmosphere where flagrant destruction is permissible and encouraged. That’s a more severe assessment than even the IPCC: eliminating fossil fuel reliance is a challenge, but adjusting human nature seems nigh impossible. Thankfully, the document wraps up with an optimistic outlook and some truly lovely prose. “Human beings, while capable of the worst, are also capable of rising above themselves, choosing again what is good, and making a new start … We are able to take an honest look at ourselves, to acknowledge our deep dissatisfaction, and to embark on new paths to authentic freedom.” Laudato Si’ is unafraid to lambaste the worst of humanity, but it does so with the hopes that mankind still has the capacity to “regain the conviction that we need one another, that we have a shared responsibility for others and the world, and that being good and decent are worth it.” It will be interesting to see how the world continues to respond to these words. Tags: Catholicism, Climate change, environmental justice, Laudato Si, philosophy, Pope Francis, religion. Bookmark the permalink.